Normal Vision People will see Albert Einstein in the Picture. Near-Sighted People will see Marilyn Monroe. 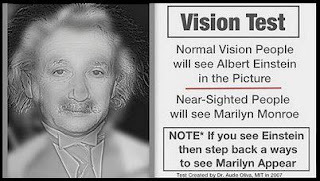 NOTE*: If you see Einstein then step back a ways to se Marilyn appear.